Help Team Wedgewood Weddings & Donate Today! Wedgewood Weddings hasn't added a story. Wedgewood Weddings makes its comeback in 2018 to compete in the Culinary Clash: Battle Los Angeles! The Culinary Clash is a competition where corporate chefs and executives are paired with culinary students from ProStart – a great program that trains high school students in the culinary arts. Representing Team Wedgewood Weddings will be Chef Kevin Coker from Wedgewood Weddings University Club and Regional Manager/Managing Partner Roman Cota. Roman, Kevin & their student partner will have to create an amuse-bouche and an entrée is just 30 minutes. The biggest and best prize for this event is “The Purse” – which goes to the team that does the best job of fundraising. 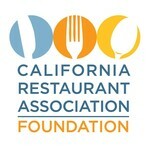 Help support both Team Wedgewood and the amazing ProStart program with your tax-deductible donation. The young students we support today could be the Wedgewood Chefs of tomorrow. Wedgewood Weddings hasn't posted any updates yet.